Just because Arizona is shrouded in a perpetual state of heat doesn’t mean its steakhouses don’t dabble in decadent comfort food come fall. Just like colder cities in the U.S., Phoenix and Scottsdale are well-versed in the art of seasonal comforts, regardless of whether or not its still shorts weather outside. From pot pie to butter cake, here are some of the best steakhouse comfort foods to try this season in Phoenix and Scottsdale. Bourbon Steak: Michael Mina’s Bourbon Steak is quite adept at elevating familiar flavors, and with fall upon us and winter on the horizon, that means those flavors take a more indulgent turn. For instance, there’s a Maine lobster pot pie studded with brandied lobster cream, local vegetables and truffle. Or fried rice tossed with Wagyu oxtail. Or baked potatoes jazzed up with white cheddar, bacon jam and creme fraiche. And that’s not even counting the bar menu, which boasts sweet tea-fried chicken with beer cheese sauce, two different burgers and Wagyu meatballs with Mornay sauce. 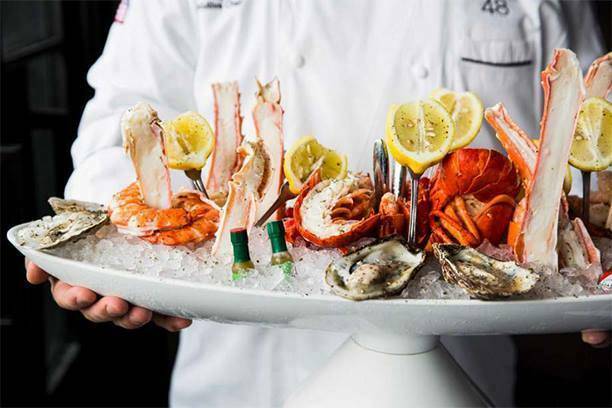 Mastro’s Ocean Club: The venerable Mastro’s empire has a way with meaty comfort. True to form, their Scottsdale outpost peddles an enviable lineup of irresistible dishes perfectly befitting a fall evening in the desert. Start with classics like oysters Rockefeller or some buttery bone marrow before moving on to steaks, chops or twin lobster tails. But most importantly, save room for dessert. The restaurant really shines with staples like it’s signature warm butter cake, a rich and fluffy finale fresh from the oven. There’s also cherry crisp, chocolate “sin cake,” key lime pie, pudding cake, pecan pie a la mode and lots more. Dominick’s Steakhouse: It’s not too often you see PB&J on the menu at a steakhouse, but here at Dominick’s, the chef is putting an upscale spin on the ultimate childhood-inspired comfort food. This thing is far from your typical lunchbox sandwich; in fact, the initials lend itself to a new realm of flavor combos entirely, wherein pâté and fig jam are served with Woodford Reserve bourbon. Get it? Beyond that standout starter, there’s also braised pork belly, meatballs, fried deviled eggs and steak farina, which is a bone-in filet with an egg on top. 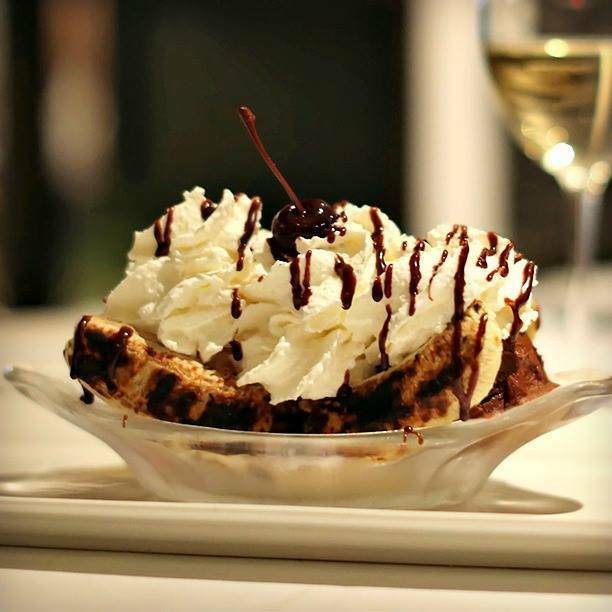 Be sure and finish with a grilled banana split. The Stockyards: Regarded as “Arizona’s original steakhouse,” The Stockyards knows a thing or two about classics. Indeed, the revered restaurant features a roster of timeworn dishes that exemplify Arizona traditions. Like grilled medallions of elk with garlic and chive potato cakes, smoked rainbow trout with seasoned toast, wild boar and venison sausages with apple-cranberry chutney and pan-seared pork porterhouse chops with whiskey-sweet potato mash. The Sonoran-sauced BBQ baby back ribs are a highlight and fan favorite as well, served with cole slaw and fries. J&G Steakhouse: From ooey-gooey French onion soup and black truffle cheese fritters to crispy calamari and Parmesan-crusted chicken, comfort food takes many forms at J&G Steakhouse. The restaurant also offers a nifty five-course tasting menu, which features a progression of tuna tartare, Parmesan risotto, roasted striped bass, caramelized beef tenderloin and warm chocolate cake with caramel ice cream.